Seascape Park is a six-acre park located along the bluff over Monterey Bay, adjacent to Seascape Resort. The park features a number of benches created by artist Mary Fuller. The benches are carved with images of local wildlife, and make a fine place to sit as you catch awesome views of Monterey Bay. The park also features a picnic area, wheelchair accessible playground, and restrooms. 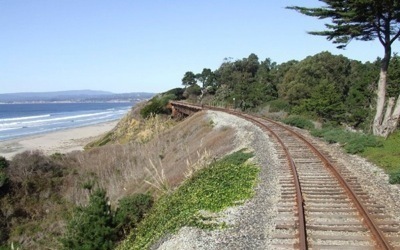 There’s a walking path which leads from the park along the bluff and to the adjacent Seascape Resort, which provides access to the beach below. Seascape Park holds a footnote in history, as it was here on March 16th, 1905 that John Montgomery first flew in a glider airplane, launched from a hot air balloon at altitudes ranging from 800 to 3000 feet. These were the first high altitude aircraft flights in history. In December 2016, Seascape Park in Aptos finally received an an updated playground. In addition to the new playground equipment, the County added a new small grass area for playing, new drinking fountains and picnic tables as well as an upgrade to the public art piece. 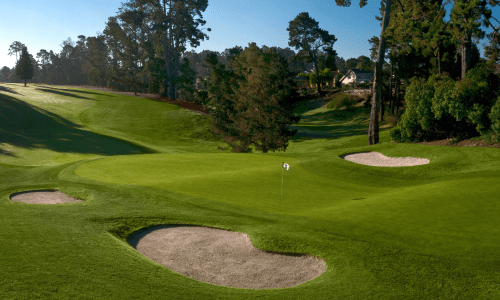 The Seascape Golf Course in Aptos, first opened in 1958, and offers a full 18 holes of golf with 6,034 yards of top-notch golfing. Green fees run between $40 and $60, with special twilight rates. They have a 12-station driving range and a practice putting green, and offer golf cart rentals as well. They have a clubhouse with a restaurant and a full bar and banquet facilities, which are often used for a number of events, including weddings and various community meetings. The Capitola-Aptos Rotary Club meets here weekly. Fundraising tournaments and corporate events are also routinely held on the golf course. Full memberships are available for die-hard regular players, but non-members can book a tee time through the web site. 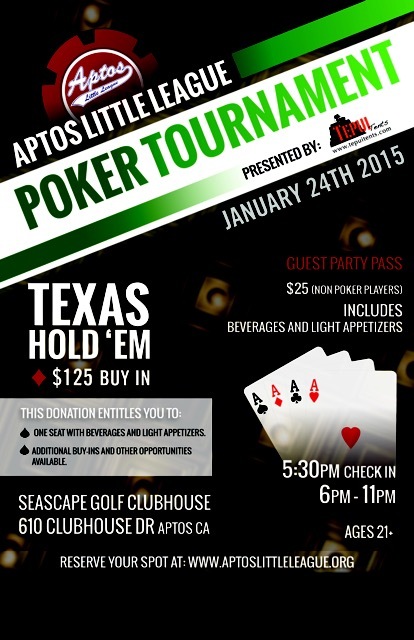 The First Annual Aptos Little League Poker Tournament is being held on Saturday, January 24th at the Seascape Golf Club Clubhouse starting at 5:30 PM and going on until 11 PM. The buy-in is $125 and the game is Texas Hold ’em – but if you just want to go to the party, non-player guest passes are $25. Your entry gets you beverages and light appetizers. Players and guests must be at least 21 years old. The Aptos Little League is on a major fundraising push due to several thefts of expensive equipment this year. For example, in November, a Little League ATV was stolen from Aptos Junior High. If you’d like to sign up, visit this page on the Aptos Little League web site. The Santa Cruz County planning commission is meeting for a final Aptos vacation rental vote on November 12. 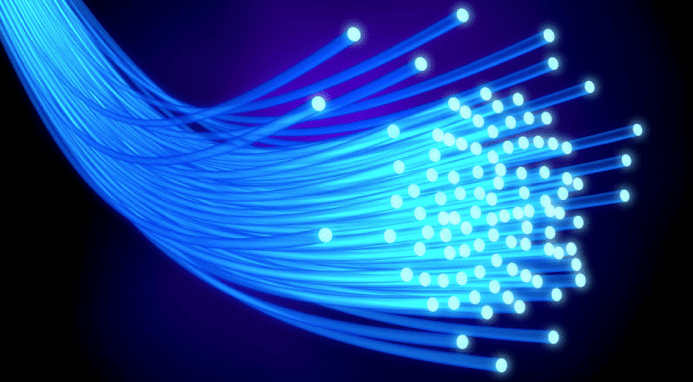 The meeting agenda is posted on the county web site. The meeting starts at 9:00 AM, and is to be held in the Board of Supervisors Chambers, Room 525 in the County Government Center at 701 Ocean Street in Santa Cruz (aka the Courthouse). 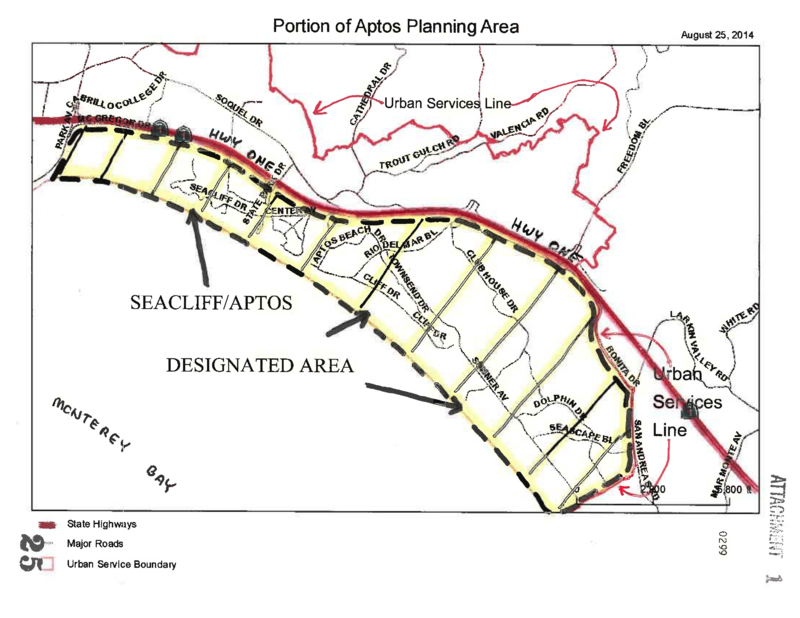 The county is proposing to bring vacation rental restrictions to the coastal, suburban areas of Aptos (i.e. 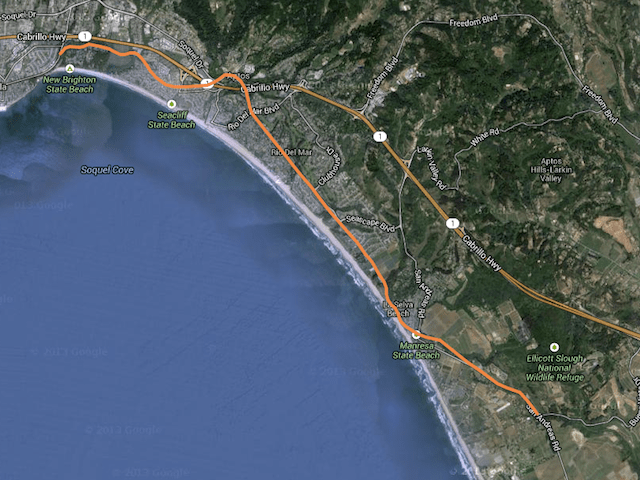 Seacliff and Seascape, and Rio del Mar), similar to those currently imposed in the “Live Oak Designated Area” (LODA). This move has the support of many area residents, but not surprisingly, many are also opposed, in particular those in the real estate industry. Paul and Robert Bailey of Bailey Properties have sent a letter to affected owners, and have written a detailed response to the county’s proposed ordinance, both of which are worth taking a few moments to read. 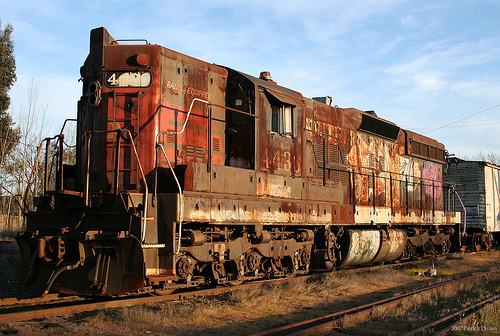 You can also read the complete details of the proposed ordinance here. 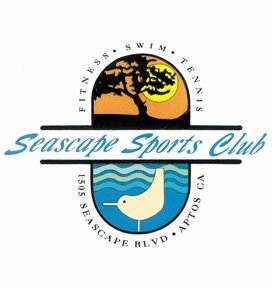 The Seascape Sports Club is located across the street from the Seascape Resort, and offers a wide variety of activities, including tennis courts, swimming pool, and a fitness center with an aerobics room. They have over 50 classes daily, including Aerobics, Yoga, Pilates, Zumba, Aqua, Dance, Cardio Tennis and Circuits; Basketball, Sand Volleyball, Bocce Ball and swimming classes for adults and kids. Massage is also available. They also offer Camp Seascape, a day camp for kids aged 3-13, between June 9 and August 29. Camp sessions are two weeks long and the fee is $695 and runs Monday through Friday from 9 AM to 4 PM. Tip: Every First Friday of the month is a Free Guest Day at the Club. Be a guest, go and enjoy the benefits of membership for the day – free! At 5 PM, go to the Club House for appetizers, live music and refreshments while you watch a tennis match on Center Court.